tackling big money's corruption of our political system. The President then told us that change "will depend on you"--that we citizens must "demand it." And we are. We are building a citizens' movement for democracy, and many of us will soon be taking to the streets: Starting April 2nd in a mass action called Democracy Spring thousands will march from Philadelphia to Washington D.C. If pending money-out-of-politics and voting rights legislation has not passed, on April 11th more than 1,500 citizens have already pledged to risk arrest in a non-violent sit-in at the Capitol. In this blog we share some powerful evidence of what works to reduce money's corrupting influence, but first a bit about why Democracy Spring is necessary. The aggregate cost of all federal races climbed from $4 billion in 2004 to over $5 billion in 2008 to more than $6 billion in 2012. The cost of the 2016 election is set to climb higher still. At the same time, the share of Americans footing these bills is minuscule and shrinking: By mid-fall 2015, a mere 158 families and their corporations had already contributed almost half, $176 million, of early money going to presidential campaigns. Think of it this way: A group the size of a high school marching band shaping the fate of the United States. The problem is that even though most Americans see this crisis, they don't also perceive a big part of the solution there for us to grab: Public financing. It's an approach our Supreme Court doesn't object to and is used by a vast majority of global democracies where elections are commonly seen as a public good. In the United States, partial public funding through matching funds for presidential campaigns--conditioned on candidates accepting strict spending limits--began in 1976, triggered by the 1973 Watergate scandal. In its first year, public funds covered almost 60 percent of presidential campaign costs. But public financing was never increased to reflect ballooning private-campaign contributions; so in 2008 candidate Obama decided he would be greatly handicapped by the program's spending limits and opted out. In Congress, bills to make public (or citizen) financing of presidential and congressional campaigns viable languish for lack of citizen action demanding a solution. They offer two approaches: One, matching systems in which the government funds (e.g. six to one) eligible candidates based on the number of small-money contributions they receive from constituents. 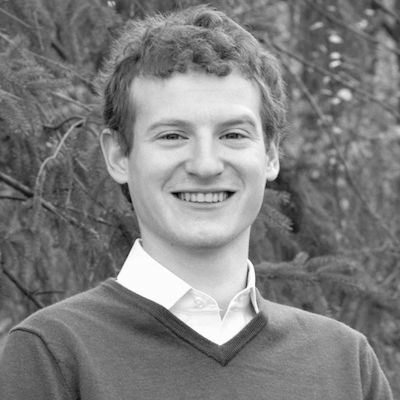 Two, voucher systems, such as Seattle voters approved in 2015 for city council races, that give each registered voter a voucher worth a certain sum that can be used to support any candidate opting into the program. We're convinced that if Americans see the benefits and speak up Congress will act. Public financing increases the political participation of women and people of color. In Arizona, in 2004, the number of Latino and Native American candidates had nearly tripled compared to the pre-public financing period. Increased diversity has also been found in Connecticut, where 85 percent of the 2014 candidates in the general election relied on public financing to win their seats. In New York City, people of color comprised the majority of the city council in 2012. With public financing, fewer races are uncontested because the system lessens incumbents' funding advantage. Also great for democracy, the range of viewpoints among candidates widens, giving voters more choice. In Maine, the number of candidates has doubled since Clean Elections began. Minnesota also deserves a shout out, as in 1976 it was the first state to adopt public financing, though more limited than the three states above. In all, 13 states plus 17 cities and counties have adopted lump-sum payments and/or matching funds for some offices. 72 percent of Americans favor small-money, public-matching funds, found a late-2015 poll. When Connecticut's legislature revealed it was considering a temporary suspension of public financing to help deal with a budget short fall, an immediate and vehement citizen backlash forced it to recant. But, naysayers say, money, like water, will always find an outlet. True, leaks happen, but that doesn't mean we can't turn off a gushing faucet! And there's another source of energy for us. It's Democracy Spring, with which we began. Seventy organizations have so far publicly agreed to join, and celebrities including Mark Ruffalo, Lawrence Lessig, and Cenk Unger have made the pledge. I, Frances, have signed on, too. 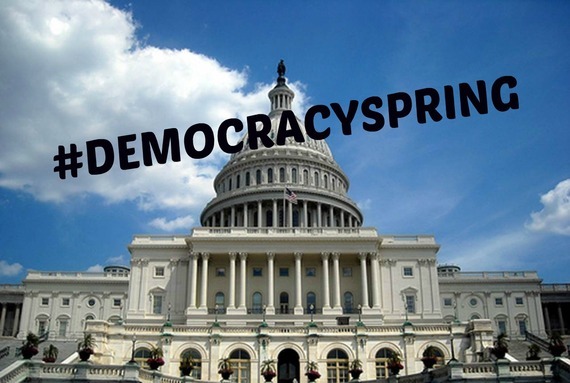 Democracy Spring is poised to be one of the largest acts of civil disobedience in a generation--or what we prefer to call acts of civic obedience to what democracy requires of its citizens when it is under threat. Far from giving up, Americans are standing up for democracy as never before. All of us can pledge to press for reform and to vote only for those backing public financing. And we can join in Democracy Spring. There is no time to waste!